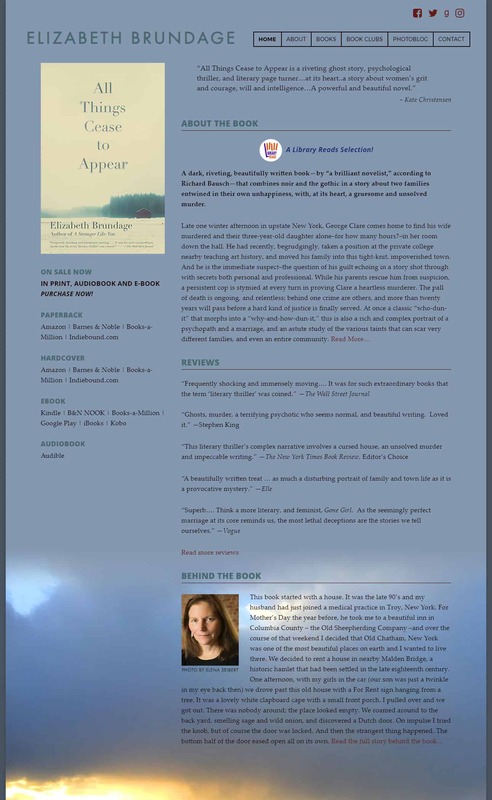 Elizabeth Brundage graduated from Hampshire College, attended the NYU film school, was a screenwriting fellow at the American Film Institute in Los Angeles, and received an MFA as well as a James Michener Award from the University of Iowa Writers’ Workshop. She has taught at a variety of colleges and universities, most recently at Skidmore College, where she was visiting writer-in-residence. She lives near Albany in upstate New York.